Folding Stainless Steel Radar arch and Folding upper screens. An absolutely stunning Pedro 32 Aft Cabin presented in outstanding condition by her current owners. Having spent time aboard her on a frosty January day the boat smells like new and is very dry as the owners have a dehumidifier running throughout winter. I failed to see any signs of water ingress around the windows and surrounding woodwork. The teak deck to the aft cabin roof where the upper helm is situated is also as new as the owners have always had this covered. The interior floors and head linings are perfect as can be seen in the pictures. I have pages of information on this boat which I will email to interested customers. 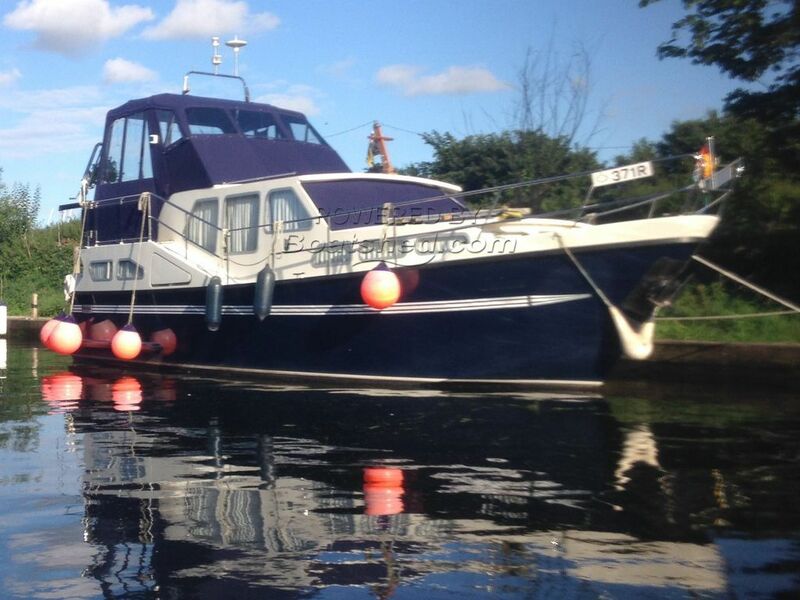 This Pedro 32 AK Aft Cabin has been personally photographed and viewed by Gary of Boatshed Norfolk. Click here for contact details.